This Allegro is the second movement of Bach's Sonata No. 5 for flute and basso continuo. It is based on a burbling flute melody over a descending bass figure; the bass line soon levels out, but it has already started to pull the melody in a downward slide. 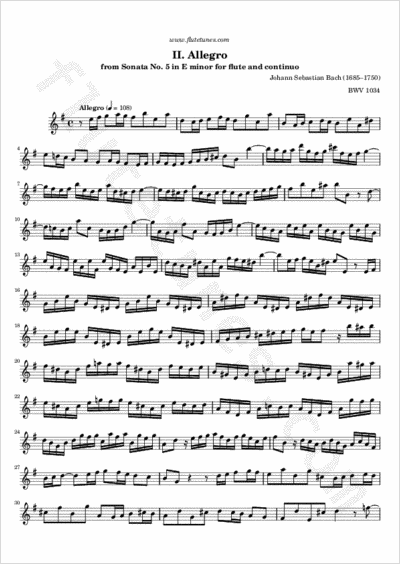 The flute indulges in rapid passagework, in which Bach seems to forget that flutists have to breathe: starting at measure 40, there's a passage of 130 consecutive sixteenth-notes without a break!